You can’t get moved for Celebrity Chef restaurant openings in London these days. 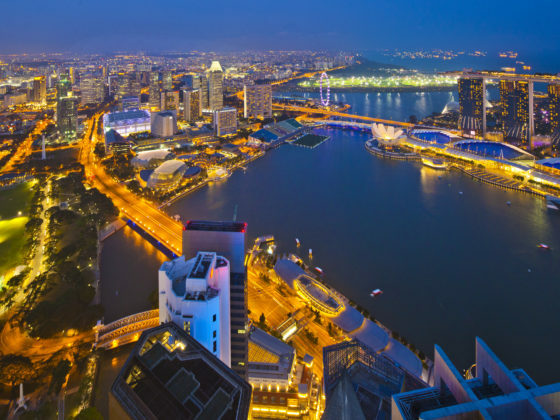 Yes the food might be ever so slightly overpriced and the interiors a tad more decadent, but what you’re paying for is an unrivalled experience and if you’re a serious foodie, these are the places that will make your heart sing! 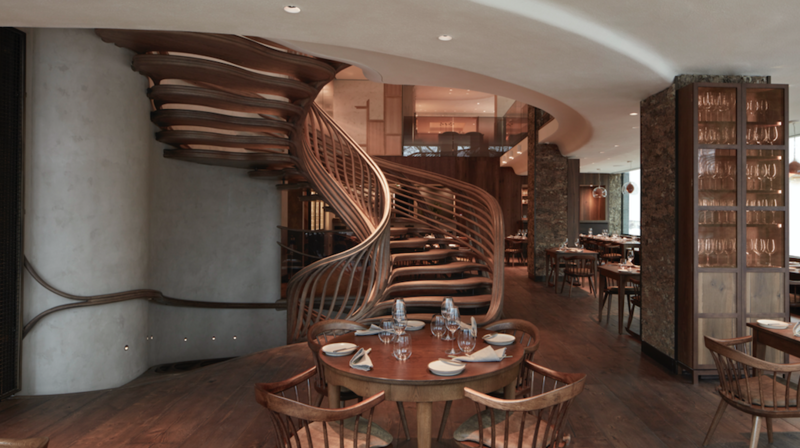 Here’s Luxe Bible’s 4 celebrity chef London restaurants you must try now. We loved Tom Brown on Great British Menu. His ‘Poor Man’s Goose’ main made it into the banquet and we couldn’t have been more chuffed. 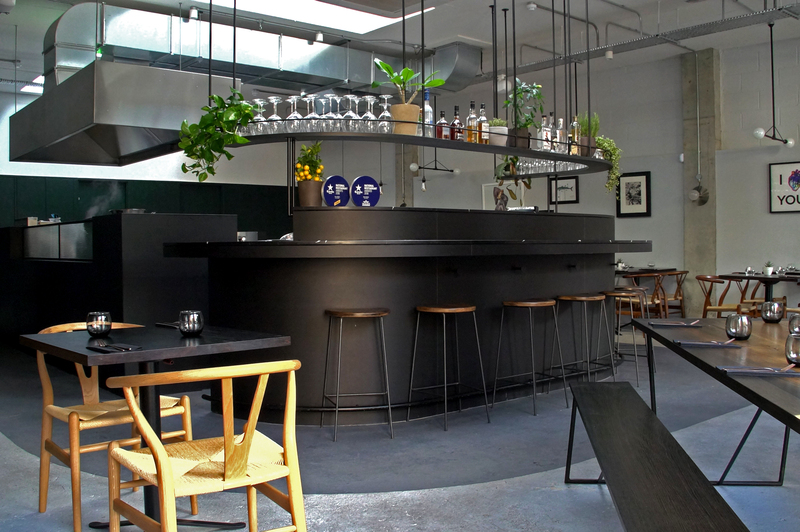 Having worked under Nathan Outlaw previously, Brown’s own restaurant Cornerstone (a deliberate nod to the Arctic Monkeys), is in Hackney Wick… and yes, it is worth the journey. An industrial, minimal setting ensures nothing detracts from the seafood-led menu where you’ll get to eat whatever’s come in fresh that day. Being Cornwall born suggests Tom Brown would know a thing or two about cooking fish dishes, so it’s no wonder seafood is the focus, although there are some meaty mains to choose from for your fussy friends. 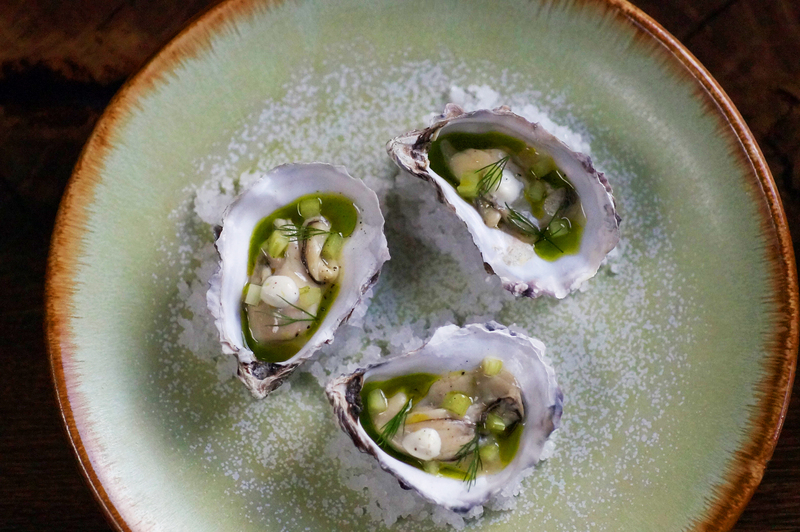 Expect dishes like raw Cornish black queenie scallops with cucumber, ginger and sake vinegar, and English sprouting broccoli with cod’s roe, hazelnut and black truffle. Tasting menu £45. Click here to book. You couldn’t miss it. Screaming ‘Michelin’ from its floor to ceiling windows, Hide, which overlooks Green Park is Ollie Dabbous’ multi-million pound venture with Hedonism Wines. With more floors than a department store and even a hidden car lift for celebs to waft in incognito, the interiors are to-die-for – a sort of enchanted wood with centre-piece spiral staircase which will leave you spellbound. 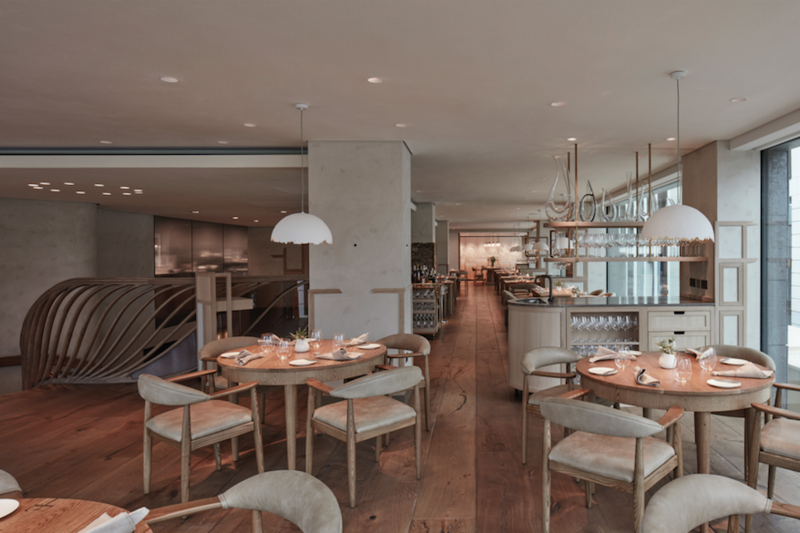 Dine at Hide Above where Luke Selby is head chef, for the delectable 6-9 tasting menu and the best views in this more formal dining area, or at Hide Ground led by Head Chef Josh Angus, for a slightly more casual but equally as impressive luncheon experience. Go Below for the cocktail bar. On the menu you can expect dishes like glazed eel over charcoal and pigeon with cucumber and sansho pepper. Cured meats are served on feather skewers and the wine list comes courtesy of iPad. An unforgettable experience. An unforgettable bill. 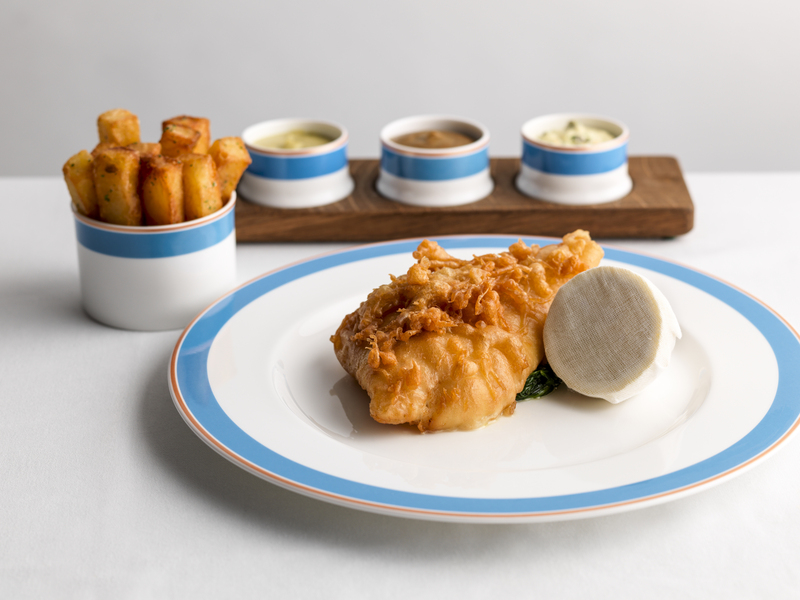 Lunch set menus £45, Dinner set menus £115 excluding wine pairings. Click here to book. 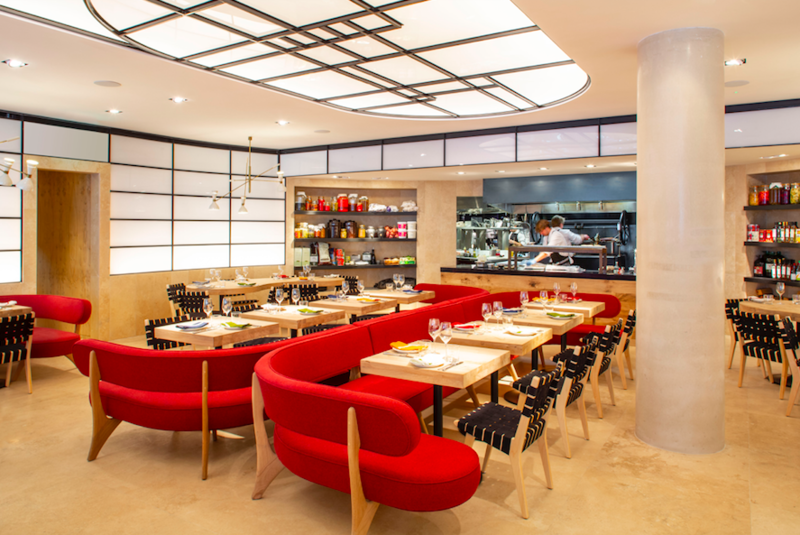 Israeli-born chef Yotam Ottolenghi’s seventh London restaurant Rovi in Fitzrovia, thrives under a focus on fermentation, fire and veggies. With a sleek, scandi feel to the interior and an emphasis on Ottolenghi’s signature red colour palette, the veg-led menu of small plates is made with all locally sourced produce. Cocktails from the central bar hone in on seasonal spices and shrubs. With Head Chef Neil Campbell at the helm, indulge in starters like crumpet lobster toast with kumquat and chilli sauce (£8), and mains like grilled halibut, in smoked fish butter curry with coconut and einkorn roti (sharer for 2 at £48). Rovi is an all day dining affair. Click here to book. 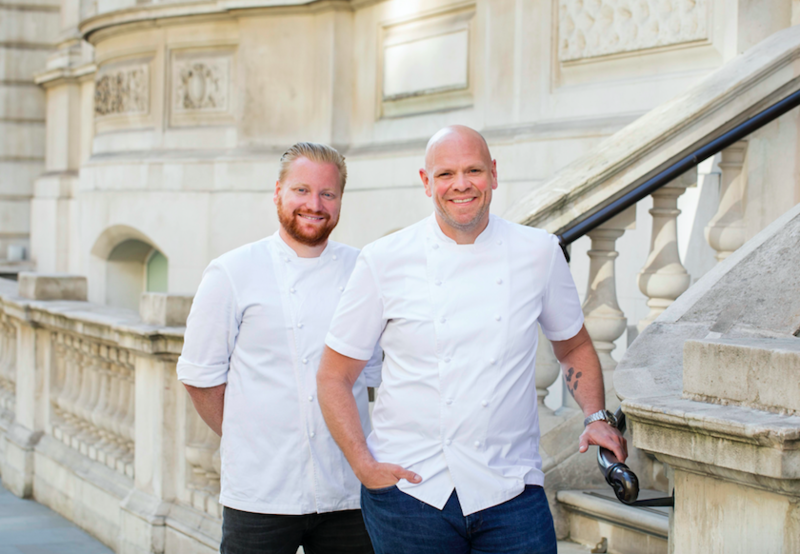 If you watched that awesome BBC programme at Christmas – ‘A Hotel for the Super Rich & Famous’, you’ll know all about Tom Kerridge’s new London opening at the Corinthia Hotel London. 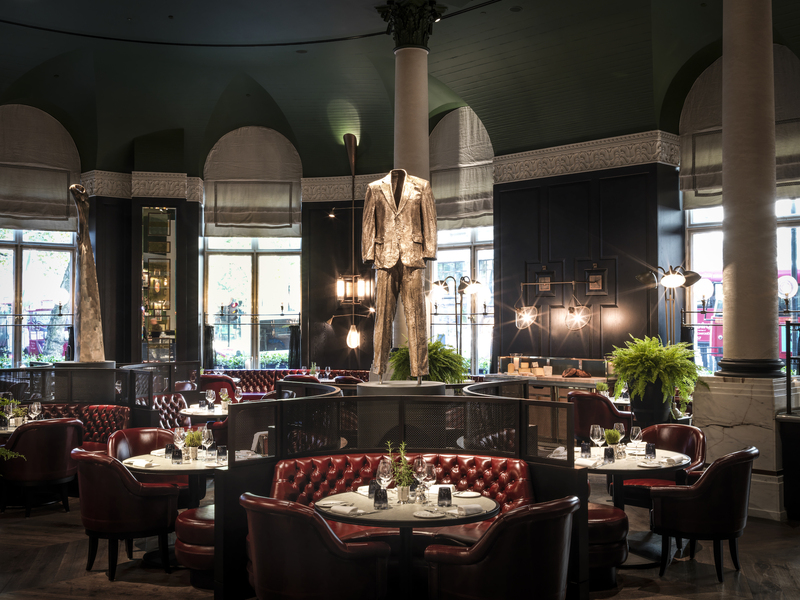 You’ll also know just how difficult it was to get that amazing gold ’empty suit’ sculpture made by his wife – Beth Cullen Kerridge into the restaurant. With Kerridge professing he wanted the space to feel timeless, he’s definitely achieved this with David Collins Studio’s stunning interior. Vaulted ceilings, leather banquettes and those stunning, imposting sculptures make this the perfect place to indulge in Kerridge’s hearty British fare with a twist. Shaped by the seasons, the menu (beautifully executed by head chef Nick Beardshaw), will allow for a different experience every time you visit (assuming you’re not going more than four times a year!) An absolute must is the glazed omelette lobster thermidor starter. Yes it might be £34.50 but this dish has had more insta-love than Love Island’s 2018 winners. Pigs cheek pie with clotted cream mash (£23.50) and loin of Ramsbury Estate venison complete with ‘Hand & Flower’ carrots, coriander and emulsion and venison chilli are what you can currently expect to see on the menu.